The Importance of History for the understanding of cultural and personal trauma. ON THE IMPORT OF HISTORY: 9/11-Ten years after. History has always fascinated me. In school, it was one of my favorite subjects because it provided a context for how the world evolved, how it got to be what I know it as. Perhaps my interest in history was one of the things that led me to the study of psychology and later to psychoanalysis – two fields that focus on personal history and its reverberations through life. Today’s post is about history and its importance in our lives, and in particular, about a slice of history that I experienced that forever changed who I am and how I think. This time last year I wrote a blog about my experience during the 9/11 attacks in New York City. It was a heartfelt visitation to a memory that was sparked off when I looked outside my window at the white beams of light emanating from the World Trade Center site. I love those two beams of light, reaching toward the heavens and paying homage to what used to be. Marking the spot like two tall spirits of light every September 11. Today, it is ten years since 9/11, almost to the minute as I write this post. The day is not quite as beautiful and clear as it was then, but the sky is blue and the air full with the promise of fall and the change of seasons. Much is being made of this ten year anniversary. Somehow ten years has a special ring to it. A decade. Special enough to spawn multiple ceremonies, newspaper articles, tv shows, and street closings. Special enough to alert the authorities here and in Washington of a potential threat of another attack. I think that this is one of those days that is difficult to commemorate for everyone regardless of the timing. Such a mixture of feelings, grief, despair and hope. It is like this every year at this time of year, this is just the tenth year. Today is also a day to remember our human bond, to remember and grieve together, to remember and renew our resolution to never forget, to remain connected without ceremony and without the need for tragedy to bring us together. 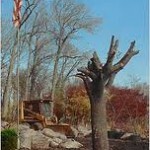 Ten years ago the American landscape was forever changed. I don’t just mean concretely, I mean our psychic landscape was altered. The definition of trauma is of an event or situation that happens too unexpectedly to be understood. It interrupts our minds ability to think clearly and put together what has happened, and demands that we deal with conflicting and incompatible ideas, thoughts, perceptions, emotions and sensations. Trauma forever changes who you are. The events of 9/11/01 did just that. This week I viewed an exhibition of life-size photographs called: Faces at Ground Zero, 10 years later. It is installed in the Columbus Circle shopping mall. The photographs capture many of the heroic people that worked at the 9/11 site, ten years after the fact. It was incredibly moving despite the fact that it was curated in a shopping mall. The incongruity of people and tourists shopping and walking through life size pictures of firemen, police, and distraught family members was not lost on me. How curious I thought, somehow not right, and in many ways, reminding us that life goes on. That it must. History is important, not just so that we may foresee the future, but so that we can understand our present and learn from what has happened in the past. No matter how it is told or remembered, history links us to one another with lived and remembered experience. Attention to history gives us the possibility of hope. Cultural and personal trauma highlight history in blood red ink, as is the case today, ten years after. A reminder that once we have experienced trauma, we are all survivors. 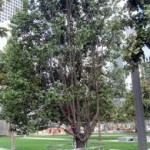 By the time the memorial at the World Trade Center site is finished, there will be four hundred white oak trees (symbols of strength and hope), yet now, in the center of the plaza stands a single Callery pear tree, a survivor of the attacks ten years ago. As M. Kalman writes for The New Yorker, ‘Where there is life there is hope”. It was nursed back to health from a burned stump and now flourishes again. Beautiful piece Velleda. Thank you for putting into words your insights and heartfelt honesty. I have forwarded this around the world! Thank you Trisha, I feel that since September 11, we are ALL one world and united in our survivorship. Previous post: ON MEMORY AND THE RE-LIVING OF IT. Next post: CAN I GET A WITNESS? Relationality and consciousness.